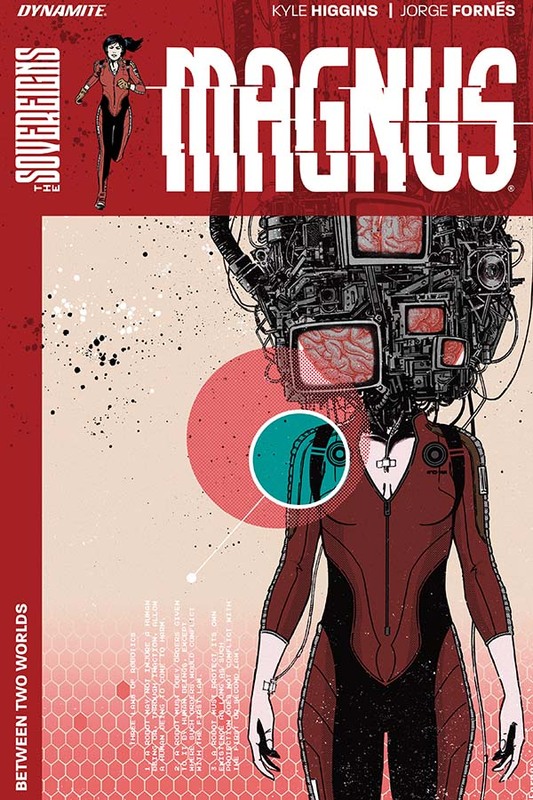 Collecting the first five issues of the Dynamite series, this volume tells a compelling story of the ramifications of AI gone rogue. While many of the well-known genre tropes are in play here, Higgins devises enough new twists to make this futuristic tale worth reading. Dr. Kerri Magnus has a special gift, one that allows her to inhabit both the digital realm of the Cloud and the real human world without undergoing extensive brain damage or psychological harm. After leaving her work as a bounty hunter, she turns to being a therapist for AI programs that are having trouble adapting to the norms imposed on them by their human masters. However, before long, a murder committed by an AI program has the authorities drag her back to her old line of work to track him in the digital world. The writing and dialogue are sharp on all counts, and the characters are for the most part fully fleshed out. The art is also excellent, mending beautifully with the story being told. We see nice call-backs to other comic book and science fiction works, from The Matrix to Darkseid of the DC Universe, if you look closely at the panels on certain pages. The presence of a landline telephone and a variety of books in the apartment of the protagonist said much about her own alienation from the digital hell that humans have created for themselves in this possible future, and this was one of the many examples of how Higgins played the “show, don’t tell” card quite effectively. The resolution with the antagonist at the end was a little underwhelming. The payoff for all the drama and suspense that was built up until that point was not strong enough, but overall, the story made up for it with a very satisfying ending that succeeds in attracting readers for the long haul in this new world.